Mind-body medicine is a specialist area of medicine that recognises the powerful relationship between your mental, emotional and physical wellbeing. Used by doctors, integrative medicine practitioners and natural therapists worldwide, mind-body medicine has been proven to be highly effective in helping people find relief from the physical and emotional symptoms of ill health. The Mainspring Method helps you uncover the psycho-emotional root causes of illness, and gives you the tools you need to recover. Along the way you will learn how to adopt and maintain healthful beliefs and behaviour, and find enormous personal growth and freedom. Perhaps you are battling ongoing health issues or chronic illness. Maybe you feel stuck on the never-ending merry-go-round of doctor’s appointments, or facing the prospect of a lifetime of dependence on medication or pain relief. Perhaps you have an intuition that your symptoms might be linked to psychological issues: maybe you’ve even tried some complementary therapies to help ease the symptoms. Perhaps you know, deep in your heart, that your illnesses have a deep-rooted cause and there must be someone out there who can help you find it – and help you feel like you again. The Mainspring Method is a healing modality that addresses the psychosocial contributors to poor health and disease, grounded in evidence-based health psychology. A complementary therapy, the Mainspring Method can be used as a critical component of Integrative Medicine (addressing the Mind-Body Connection) alongside other healing disciplines, and as a stand-alone method of self-healing and recovery from illness. The Mainspring Method is ideally used for chronic illness treatment, with conditions such as diabetes, chronic pain, fibromyalgia, obesity, insomnia, menopause, cancer, infertility, chronic fatigue syndrome, thyroid conditions, and heart disease. It can also be utilised for preventative care, mental health disorders, stress-related symptoms, rare disorders and substance addiction. 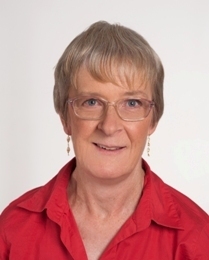 Diana Hutchison is a qualified Mainspring Method practitioner. Contact her on 0417 295100 for more information and to start your path to self healing.